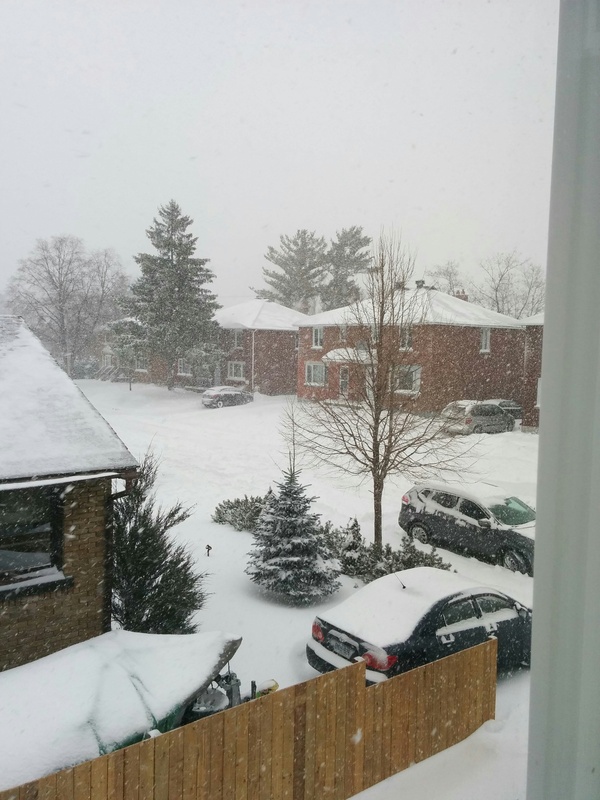 Winter is just a couple of days late and a few dollars short for Christmas. I have done some knitting over the holidays as I sat around with the extended family. My sister Felicity is big into helping a Syrian refugee family settle into her home town. They are knitting 8″ squares which will be made into afghans for the new arrivals. 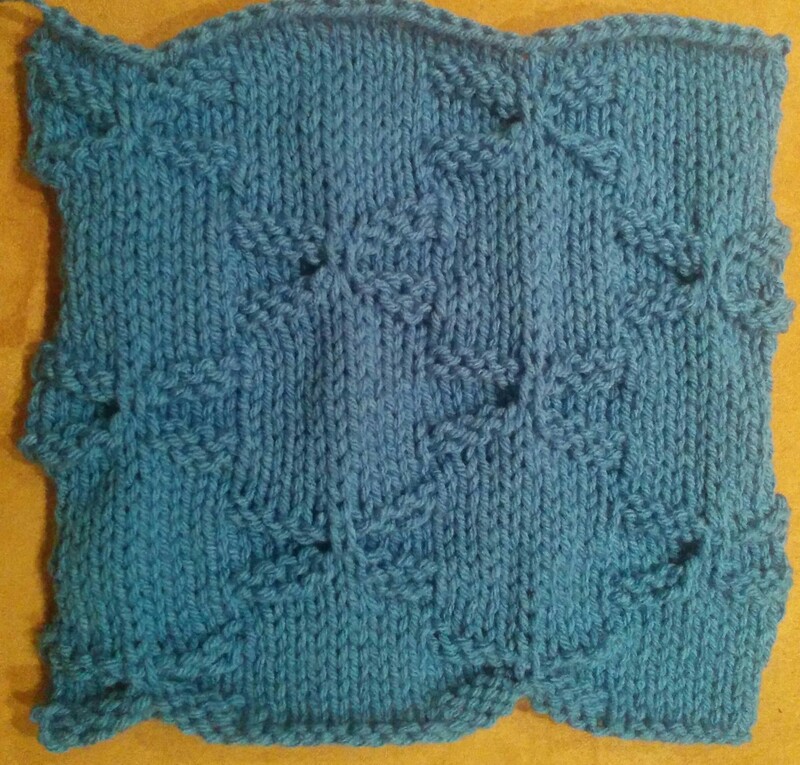 I did a square using the Bowknot Stitch, pg 133. When I made Laura her shawl on her birthday, she asked for a headband and picked out a couple of stitches from the cable chapter. Getting up to the right stitches is one of the reasons I did so many cables on the Christmas hats. The headband has a Plait Cable , pg 244 flanked by two Little Plait Cables, pg 245. My sister Penny is Laura’s mother and I had given her a hat and mitt set a while ago. She found the hat too big around the hat band part, so I made her a new one. I did the band first using Inverted Gull Stitch flanked by two Gull Stitch repeats, pg 248. I picked up from the top of the band and continued up in Yarn Over Check, pg 70 and finished it off with an i-cord rose. The new hat is not an exact match to the mitts like the old one, but I hope it is close enough. …btw I used Rickrack Pattern, pg 119 and Elongated Chain Cable, pg 246 on the last Christmas hat I showed on Christmas Day. There was a lot going on when I was writing the post so I forgot. This entry was posted in Barbara Walker and tagged A Treasury of Knitting Patterns, Barbara Walker, Patons Classic Wool on December 29, 2015 by gillianknitter.